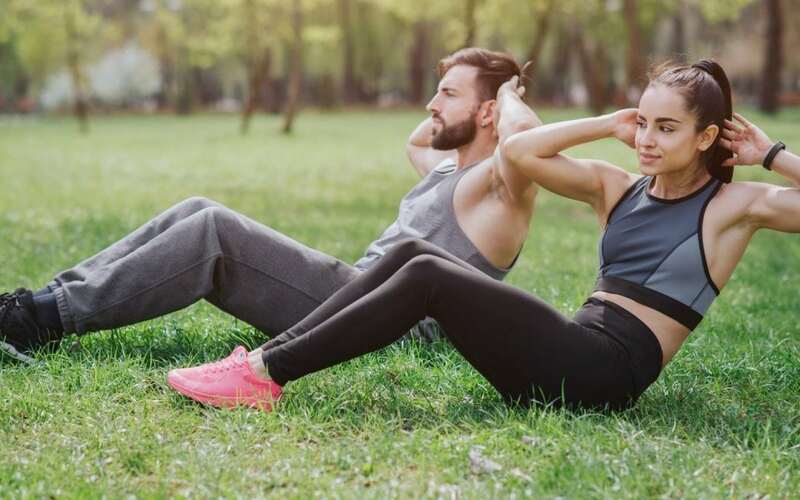 It’s been promoted as one of the most efficient, effective, and beneficial modes of exercise – and you can do it anywhere, anytime with no need for equipment. The revolutionary style of High-Intensity Interval Training (HIIT) is known in many variations including Sprint Interval Training, Tabata, Peter Coe regimen, Gibala regimen, Zuniga regimen and Vollaard regimen. HIIT is an innovative training modality designed to produce maximum results in less time. Here are the benefits of HIIT and what it can do for you. HIIT Training is a training style characterized by short, intense periods of training, interspersed with recovery periods of less intense activity. The short, intense activity intervals are designed to activate the anaerobic energy system and should be performed at 100% capacity, while the rest periods provide the opportunity for the body to recover between intervals and should be performed at 50% capacity. The intense nature of HIIT training means it’s not for the faint of heart, but it can produce more significant results in less time than other activity types. High-Intensity Interval Training is a unique and powerful training with many incredible benefits. You Can Do It Anywhere – HIIT exercises require no gym equipment, can be done with body weight alone, and can be adapted to the space you have available, which means you can do HIIT anywhere and anytime. No Equipment Needed – You don’t need any equipment for HIIT Training which means no heavy weights or expensive workout gear. Just a clock, stopwatch, or a custom HIIT app is all that’s needed for time intervals. Better Results in Less Time – Because HIIT is such a robust method of training, you get much more impressive results for the time invested in your workout. Experts say that just 15 minutes of HIIT is equivalent to as much as an hour of pounding on a treadmill. Rapid Athletic Improvement – HIIT pushes your body into hyperdrive, which means that just two weeks of HIIT improves your aerobic capacity as much as six to eight weeks of other endurance training. Burn More Body Fat – Research has shown that those who train using HIIT reduce body fat more than other forms of exercise. This is because HIIT keeps your body burning energy up to 24 hours after a training session. Improved Health Outcomes – HIIT increases aerobic capacity, reduces body fat and improves blood sugar for better health. There are some apps available that provide timers and ideas for HIIT exercises if you want to train alone. Local gyms may also offer classes based on HIIT methodology, as well as personal trainers to custom design a HIIT program that will help you reach your fitness goals sooner.